Before you dive in Raja Ampat, I recommend diving in the waters of Gili Trawangan, Lombok. 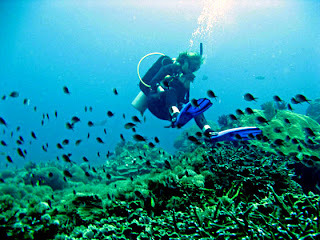 You will get a great diving experience both in the island like in Amed (Bali) or Raja Ampat, Papua. Imagine you are in the middle of virgin beaches and pristine of Indiana Ocean water and add with the wild marine lives of southern Lombok Sea that shows you the breathtaking of nature and lives. If you have the opportunity to visit Lombok Island don’t forget to visit Rinjani National Park, and the three Gillis Island. The park covers an area of 41,330 ha on the northern part of Lombok. Named after Indonesia’s second highest volcanic peak outside of West Papua, the peak of Gunung Rinjani (3,726m) dominates the landscape. Within the crater are the spectacular Segara Anak Lake and the still-active volcano Gunung Baru (2,363m). You can enjoy a spectacular sunrise on the top of Mount Rinjani. It is surrounded by a further 66,000 ha of Protection Forest and covers the three administrative district of West, East and Central Lombok. The park ecosystem is in the transitional zone between Asia and Australia (Wallace zone). Average rainfall is about 3,000 mm annually. 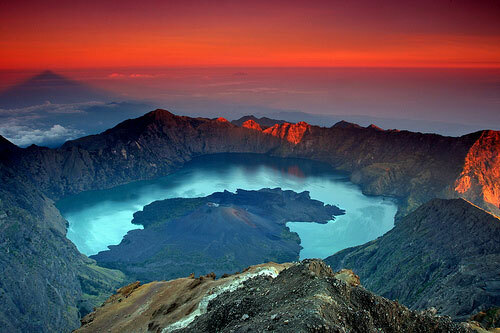 Gunung Rinjani is rich in a variety of flora, fauna and vegetation types. On the south western side of the mountain is the most eastern extent of primary rain forest in Nusa Tenggara. The three Gili Islands are a small-scale backpacker Mecca and Lombok's most popular tourist destination. The islands are very relaxed and laid-back, with countless little beachside cafes playing reggae and serving up banana pancakes, and no cars or motorbikes to disturb the peace. The flip side of the coin is that as they exist solely to cater for travelers, they're also rather anonymous (you might as well be at anywhere) and, aside from snorkeling and diving, there's little if anything to do. Gili Meno, the smallest and quietest, low-key with some simple places to stay. 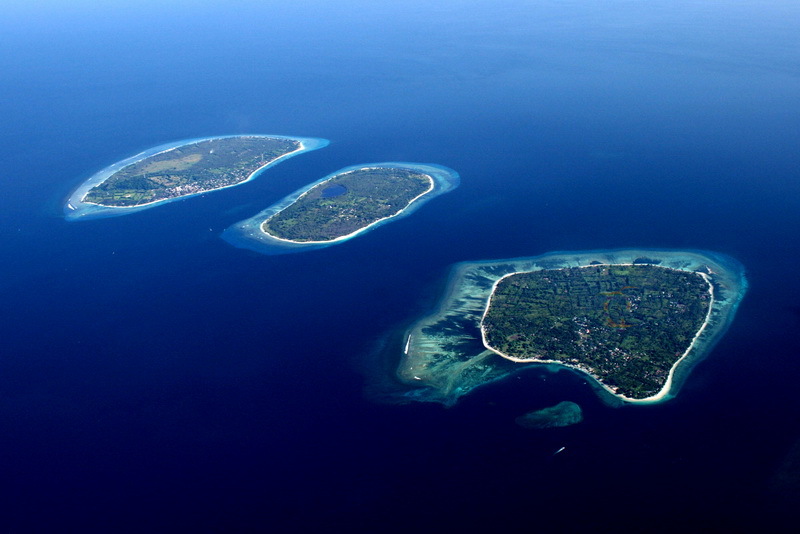 Gili Air is closest to the mainland and with the largest local population. 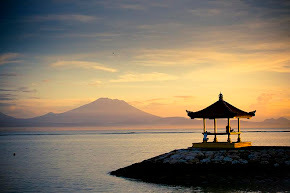 If you are a newlywed couple, you can honeymoon at one of the Gili, then you continue your holiday in Bali. You definitely get a beautiful and romantic memories. Let’s go to Lombok for a fantastic adventure. Lombok has wonderful beaches, volcano and varied landscape. It is an ideal place for those looking for a private holiday away from the hustle and bustle of a normal tourist spot. Very interesting. Lombok is a very exotic tourist locations. if you like scuba diving, this place is a very nice spot. and will provide an exceptional experience. I am very fond of scuba diving. for me this event is a satisfaction. thanks for the post.